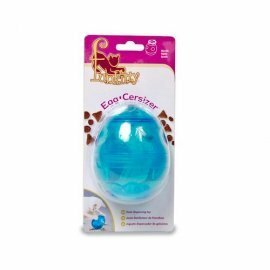 The Funkitty™ Egg-Cersizer™ is a treat/feeding ball that’s designed to randomly dispense treats & dry food. 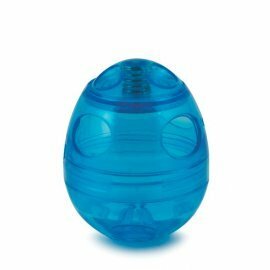 It is uniquely adjustable to your cat’s level of play. 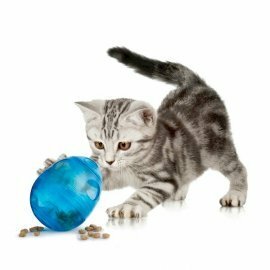 Open 1, 2, or 3 holes to customise to your cat’s needs and increase the challenge over time. 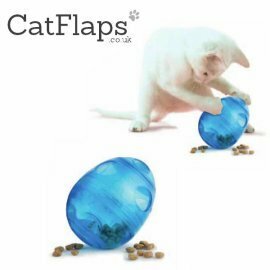 Features the Treat Meter™ which allows for treat distribution from all angles.